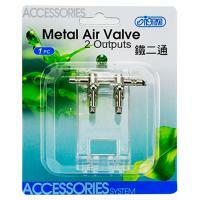 In this category you'll find an assortment of both control and check valves. 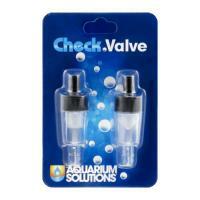 Control valves allow you manage the flow of air from your aquarium air pump. 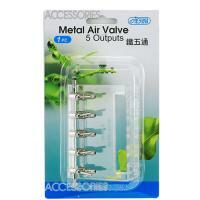 You can divide and control the flow of air between different devices including multiple air stones, sponge filters etc. 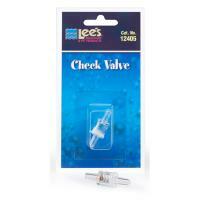 Check valves are small devices that allow water to flow in one direction only. They contain a flapper or small trap door that prevents water from flowing back into your air pump when a power outage occurs. 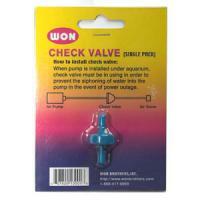 If your air pump is located below the level of the water in your aquarium be sure to add a check valve to the air line tubing coming from your pump. 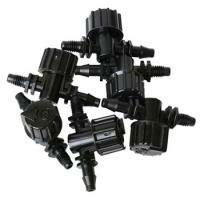 Manufactured of high-quality, non-corrosive material. 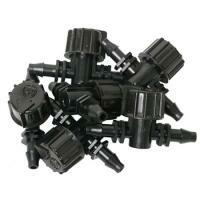 Package contains 4 plastic tee's and 5 two-way valves. 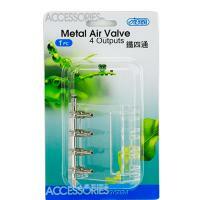 Use to control air flow from the air pump. 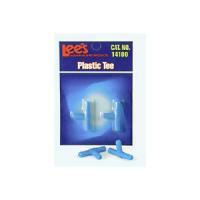 Manufactured of high-quality, non-corrosive material. 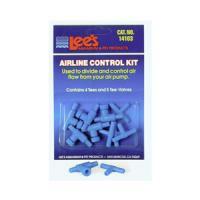 Use to control air flow from the air pump. 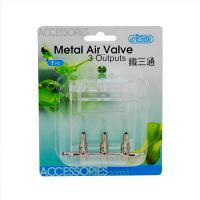 Install as an in-line valve to control air flow from an air pump. Manufactured of high-quality, non-corrosive material. 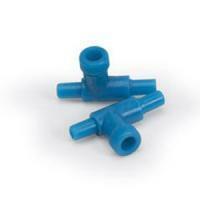 An assortment of fittings for use with standard airline tubing. 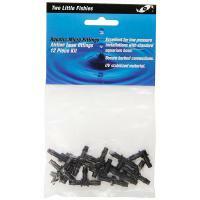 Kit includes 3 tees, elbows, crosses and joiners. Micro Ball Valves are used for regulating air flow through standard tubing for air controlled devices such as air stones, filters, protein skimmers, and ornaments.